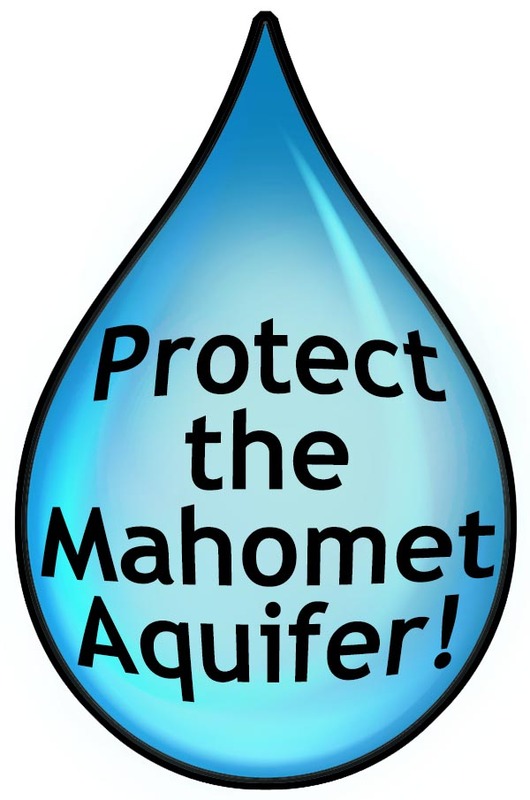 February Update: Protect the Mahomet Aquifer! Champaign County Health Care Consumers (CCHCC) needs your help and support in our ongoing efforts to protect the Mahomet Aquifer from the threat of toxic contamination. Protecting the Mahomet Aquifer is of the greatest importance because the Aquifer is our only source of water. When you turn on your faucet, you are getting water from the Mahomet Aquifer. Despite recent significant victories in the effort to protect the Mahomet Aquifer from toxic waste, drinking water for more than 750,000 residents in 14 counties in Central Illinois is still under threat of contamination from toxic chemicals because of the greed of a single corporation – PDC/AREA Disposal, which owns the Clinton Landfill that sits above the Mahomet Aquifer. The recent victories achieved as a result of citizen involvement and local, state and federal government action have led to permanently halting Clinton Landfill’s efforts to solicit certain types of toxic waste, such as Manufactured Gas Plant (MGP) and polychlorinated biphenyl (PCB) wastes. However, Clinton Landfill is now pivoting and seeking other waste streams that, while toxic, are allowed to go into municipal waste landfills. Current laws and regulations in the State of Illinois are inadequate to protect the Aquifer from the Landfill’s business practices – therefore, citizen action is needed to ensure that new protective legislation is enacted in order to create a permanent solution to protect the Mahomet Aquifer from the threat posed by landfill practices. Please read on for more information and to learn what you can do to help. In recognition of its importance as our only viable source of water, the U.S. EPA granted federal Sole Source designation to the Mahomet Aquifer in the spring of 2015. The Mahomet Aquifer is the only aquifer in the state of Illinois to have this designation. Sole Source designation was a tremendous victory in the efforts to protect the Aquifer, and provides an important platform for enacting protective state laws. Peoria Disposal Company (PDC/AREA) owns the Clinton Landfill, located just outside of Clinton, IL in DeWitt County. The Landfill sits immediately above the Mahomet Aquifer. The landfill has historically stored municipal and household waste collected by local waste haulers (including PDC/AREA Disposal Company). Clinton Landfill’s business model for making enormous profits involved developing a “Chemical Waste” unit in order to receive toxic MGP and PCB wastes. The “Chemical Waste” unit is just a section of Clinton Landfill that has some liners in it. There is no official designation of “chemical waste unit,” and in fact, the entire Clinton Landfill is classified as a municipal waste landfill. Nonetheless, Clinton Landfill succeeded in getting permits for toxic MGP and PCB waste from the IL EPA. Between 2011 and August 2014, Clinton Landfill received over 30,000 tons of MGP waste, but had been awaiting final approval from the US EPA to receive PCB waste. Thankfully, as a result of citizen and government action, no PCB waste was ultimately permitted, and no further MGP waste is permitted at Clinton Landfill. A chain-reaction of important victories in the effort to prevent toxic waste from being dumped at the Clinton Landfill took place over the last couple of years, as a result of actions by citizens, local governments, and elected officials. As part of a Consent Decree settlement between local government coalition and Clinton Landfill, the Landfill agrees to never seek toxic MGP and PCB waste streams. However, settlement allows Clinton Landfill to leave over 30,000 tons of MGP waste in place – October 2014. These victories are important, foundational victories for permanently protecting the Mahomet Aquifer from toxic contamination from landfill waste. Federal Sole Source designation for the Mahomet Aquifer makes possible new state legislation that can bring further protections to the Aquifer, given its special status. Despite these important victories, the fact remains that there is a significant lack of regulations, oversight, and laws dealing with landfills. Landfills have very minimal monitoring for environmental hazard, and there is very little transparency about what kind of waste is going into landfills. Additionally, there are many forms of toxic waste that are not declared as “hazardous” and are currently permitted to go into municipal waste landfills, such as Clinton Landfill. And, in fact, Clinton Landfill, in order to make up for the lost revenue from MGP and PCB waste, has pivoted its business model and is actively seeking to become a major repository of coal combustion waste, which is toxic and may pose a threat to the Mahomet Aquifer. 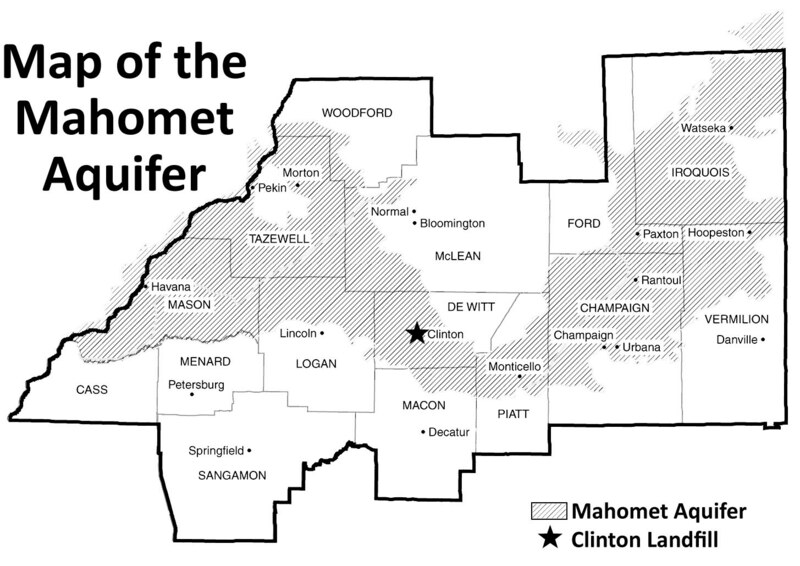 In a stunning display of ignorance and arrogance, Clinton Landfill’s vice president and chief operating officer, Chris Coulter, is unwilling to recognize the importance of the Mahomet Aquifer as the only viable source of water for 14 counties, despite the US EPA Sole Source designation. In an interview with WILL-AM 580 radio, Coulter said, “One aquifer isn’t more important than another aquifer; they’re all equally important.” Coulter’s family owns the Coulter Companies, which owns the Clinton Landfill and other landfills in central Illinois, and the Peoria Disposal and Area Disposal companies (PDC/AREA Disposal). Chris Coulter is wrong. And that makes Clinton Landfill’s business practices and plans dangerous. While we should strive to protect our natural resources, the Mahomet Aquifer is precious and essential. If it becomes contaminated, no amount of bottled water or other sources of water can replace it. In order to protect our Sole Source Mahomet Aquifer from the threats posed by landfills – and especially Clinton Landfill – we need to work on multiple strategies and fronts. In order for us to succeed in any effort, we need as much citizen involvement as possible. We need to build an informed and active base of citizens who are committed to educating and informing others, and taking action to help protect the Mahomet Aquifer, including supporting legislative initiatives. Ban coal combustion waste from municipal waste landfills. Help spread the word. Share our information and use e-mail and social media to help inform your contacts. “Like” us on Facebook. “Follow” us on Twitter. Agree to support legislation to protect the Mahomet Aquifer. We will let you know when it is time to take action. Taking action may come in the form of sending an e-mail, making a phone call, signing a petition, or submitting a witness slip to a state House or Senate committee in support of a bill to protect the Mahomet Aquifer. We will provide timely information and instructions. Jo in or support the boycott of AREA Disposal, the company that owns Clinton Landfill. 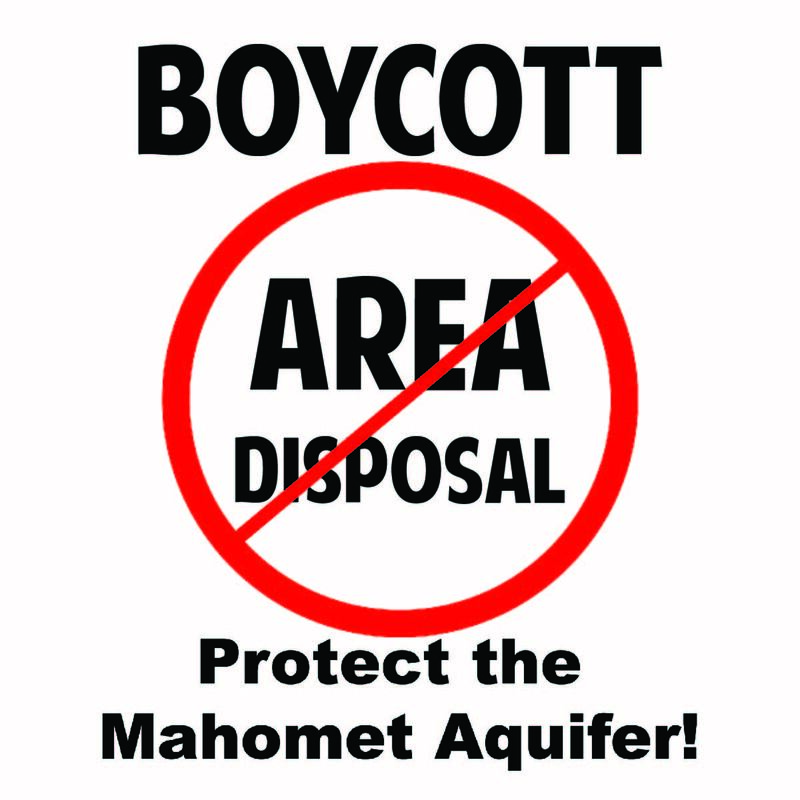 CCHCC and the members of the multi-county coalition that are working together to protect the Mahomet Aquifer, are calling for a boycott of AREA Disposal. The purpose of the boycott is to let AREA Disposal know that our communities do not approve of Clinton Landfill’s business practices and the threats these pose to the Mahomet Aquifer, and we will not help enrich a company that is so willing to threaten our environmental and public health in order to benefit its bottom line. If AREA Disposal (PDC/AREA) or Klean Way (owned by AREA) is your garbage hauler, please consider changing hauling companies. CCHCC can provide you with information about alternative haulers. Make a contribution to support CCHCC’s work to protect the Mahomet Aquifer. This work requires massive outreach efforts, including the costs of materials and staff time. It also requires a long-term commitment by our organization. Thank you for your support and your involvement! Download the pdf of the February Update.